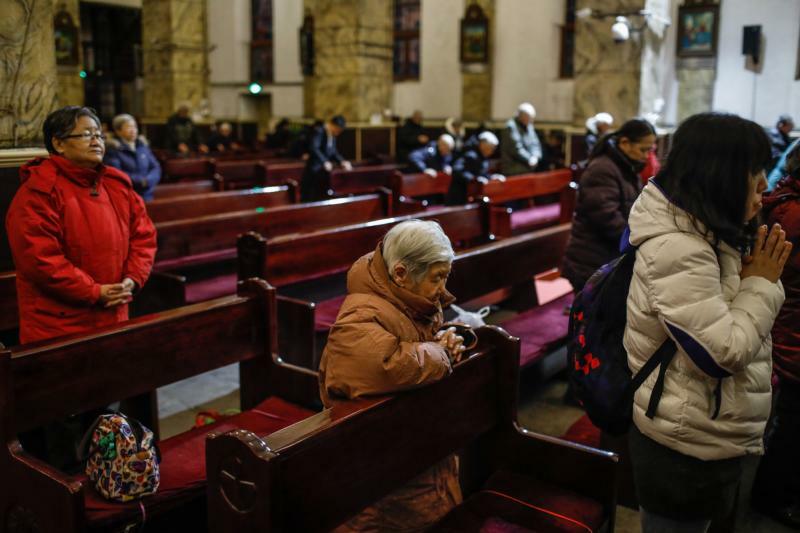 VATICAN CITY (CNS) — Multiple news reports indicate the Vatican has made substantial progress in reaching an agreement with China’s communist government on the naming of bishops for several dioceses. However, the reports coincide with claims made by Cardinal Joseph Zen Ze-kiun, retired archbishop of Hong Kong, who announced in late January that he had met personally with Pope Francis to express his opposition to the plan and to deliver into the pope’s hands a letter from one of the bishops involved. Ucanews.com reported Feb. 1 that 88-year-old Bishop Peter Zhuang Jianjian of Shantou confirmed in a telephone conversation that he had met with Vatican officials in Beijing in December. Earlier, ucanews.com had reported that Bishop Zhuang, who is recognized by the Vatican, was asked to retire to make way for a bishop who was excommunicated by the Vatican after being appointed by the patriotic association and illicitly ordained. Reuters reported that under the agreement, the government would recognize Bishop Zhuang as the “emeritus” bishop and his successor would reconcile with the Holy See. Also under the agreement, according to Reuters, Bishop Vincent Guo Xijin, 59, of Mindong, another Vatican-recognized bishop, would become the auxiliary bishop of the diocese and serve under the government-approved bishop of the diocese, Bishop Zhan Silu, 57. According to Reuters’ source, both Vatican-backed prelates recognized they would be making sacrifices for the greater good of the church. In addition, the source said, there was “a gentleman’s agreement” on seven government-backed bishops who would be made legitimate after seeking a papal pardon but that it still had to be formalized. The overall agreement foresees the patriotic association choosing bishops, but submitting the names to the Vatican for final approval. “It is not a great agreement, but we don’t know what the situation will be like in 10 or 20 years. It could even be worse,” the source told Reuters.